Spring has sprung, and excitement builds as Accelerate, powered by NetVU, approaches. If you haven’t registered, what are you waiting for? 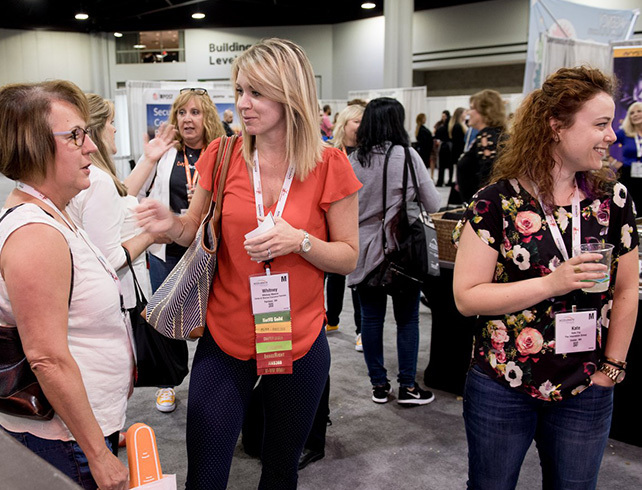 The education, the networking, the Exhibit Hall … there’s so much to look forward to! Take your firm to the next level in Cincinnati from May 21-23, 2019 (register before April 25 when rates increase!). Accelerate means fantastic education sessions. No matter what Vertafore solutions you use (AMS360, Vertafore Agency Platform, AIM, BenefitPoint, ImageRight, QQCatalyst, or Sagitta), there’s a track for you to accelerate your learning. There’s also amazing business education at Accelerate. This year, the executive management track has been revamped to help you build a world-class business. Sessions won’t be typical conference presentations. You’ll work interactively with experts on essential topics that will change the future of your business. How to Become a Top Performing Agency. Learn how you can achieve the prestigious status of “Best Practices Agency.” In this session, you’ll learn Best Practice strategies developed from the study of top agencies over 25 years. How Technology Will Influence the Independent Agency in 2019. In this session, we’ll summarize the most recent thoughts on a variety of technologies from cyber to analytics. Carrier/Agency Leadership Exchange. Join leaders from agencies, carriers and Vertafore and engage in conversations to strategize, prioritize and accelerate automation advancements. The Accelerate Exhibit Hall is already sold out! This means you’ll find valuable solution providers eager to help you. Check out the full list of exhibitors and the Exhibit Hall schedule. Set aside plenty of time to meet everyone, and come prepared with questions. Conversations begun in the exhibit hall often lead to the most impactful changes at home. The TechHub is always a fan favorite at Accelerate. Vertafore product experts will be on-site in the TechHub to work through any questions or issues you may have. It’s an amazing opportunity to work one-on-one with an expert who knows all the ins and outs of your Vertafore solutions. Now is a good time to check with others in your office about concerns or pain points. Bring that list to the TechHub for expert help. Scheduled TechHub appointments will be available soon, so stay tuned for more information! What excites you most about Accelerate, powered by NetVU? Let us know on Facebook. Have questions about Accelerate? 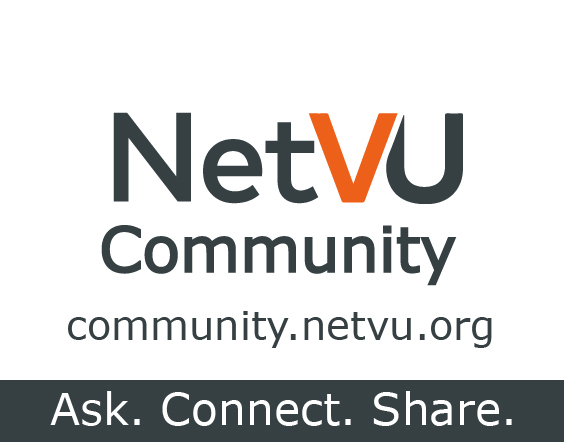 Ask other members and attendees in the NetVU Community (NCOM) now. Share the joy of giving back! Join us as we partner with Lighthouse Youth & Family Services for this year's Day of Caring on May 21, 2019, at Accelerate, powered by NetVU, in Cincinnati. Lighthouse Services is nationally recognized as an innovator for families in crisis, for homeless youth and young adults, and for youth learning. We’re thrilled about this amazing opportunity to help better the lives of Cincinnati families. We need your help! We will assemble 1,000 hygiene kits and 1,000 snack packs for Lighthouse to distribute to those in need. Please register now. We need all hands on deck at the Duke Energy Center. Don’t worry, it won’t be all work. We’ll have a lot of fun, too! The packages you assemble will make a huge difference in the lives of people in need. Kick off Accelerate by giving back and making new friends at Day of Caring. You’ll be glad you did. Wishing you could help, but can’t attend Accelerate? No worries! You can still participate. Please consider donating the items that we’ll assemble into packages. It’s easy! Visit our Amazon Wishlist and at checkout select the Lighthouse shipping option. There are a variety of items on the list from snacks to soap — all of which are desperately needed by the Lighthouse Youth and Family Services organization. You could even get your colleagues and family involved. Help us make a difference in Cincinnati! Visit the Day of Caring page to register and/or donate to the project. Also, please help us thank The Cincinnati Insurance Company for their sponsorship of this year’s Day of Caring! How much time do you spend manually scanning and mailing physical benefits documents? More time than you’d like to admit, right? By automating the exchange of benefits-related information and documents, your agency could significantly reduce the amount of time being spent manually handling and sending documents. Instead, spend time on revenue-generating activities to grow your business. eDocs and Messages download routes benefits eDocs from an insurer directly into your agency management system, where it is automatically attached to the appropriate policy. Staff can leverage eDocs and Messages download to receive benefits documents including Summary of Benefits & Coverage-Census Information, Plan Level Documents, Commission Statements, Proposals and Claim Summary Reports, eliminating the need to open email, scan, file or shred paper documents. For agents looking to get started with or expand their download adoption, log in to IVANS Exchange to view your IVANS Connections Report. This interactive report lets you indicate interest in specific insurer downloads that match your business needs and that will automatically notify you when new download services are available. If one of your insurers doesn’t currently offer download, make sure you express your interest in the IVANS Connection Report. For support in receiving your available downloads into your management system, contact the IVANS Connections team and they will help you with any configuration needs. Visit IVANS Exchange Visit IVANS Exchange to view all the download connections available to your agency to save you more time. This meeting will be held in conjunction with our annual users group conference, Accelerate, powered by NetVU. We invite you to attend this unparalleled event filled with education, networking and fun. Watch the Hub in the NetVU Community (NCOM) for the NetVU Executive Board of Directors proposed slate of officers. As the employee benefits business grows at agencies, so does the need for specialized management software to handle its unique challenges. Vertafore’s BenefitPoint is now used by over 1,000 agencies to track benefits revenue and commissions, compare plans and make data-driven decisions. And improving the software for these users is the goal of NetVU’s BenefitPoint Work Group. The work group is led by Victoria Jackson, regional employee health and benefits contracting and systems manager at Marsh & McLennan’s Southwest regional office in Dallas. In previous Newsflash articles on the AMS360 and ImageRight work groups, we described how NetVU and Vertafore are collaborating to improve the user experience. Users can submit ideas through My Vertafore, comment on existing ideas and vote for the ideas they’d like to see taken up by a product work group. Each fall, members of the work group meet for two days at Vertafore’s headquarters in Denver to develop a list of the top 25 ideas. Many of BenefitPoint’s updates have their beginning at these meetings. She says Vertafore is also making BenefitPoint more agnostic so that it will run on multiple web browsers, not just Internet Explorer. Jackson has served on the BenefitPoint Work Group since 2011 and became leader last summer. She is enthusiastic about her work group, describing it as “the best” and a model for the other work groups. She gives a lot of credit to Lewis for her tireless advocacy on behalf of BenefitPoint users and for being so involved with the work group. To submit your ideas to Vertafore for product improvements or enhancements, visit Ideas. It’s 2019: Do You Know Where Your Partners Are? Three short years ago, I happily used the stage during our annual education and networking Conference, while I had the privilege of serving as NetVU chair. My impassioned plea then was for independent agencies to embrace technology and push for tools that empowered the sales process and improved retention while increasing profitability. In particular, increased bi-directional form capabilities, adoption of the “buy button,” and the need for cyber liability to become more of a required coverage, similar to workers’ comp or personal auto. In the rearview mirror, many of these ideas still seem new to many agents. Over the past 30 years, the industry has developed capabilities around client service and accounting processes. It is past time for independent agencies to express a similar passion around technology expectations with an agency’s business trading partners. The tango in this case is an interdependent, standardized submission process for the entire industry that makes it simple, accurate and efficient for IAs, carriers, agency management system providers and rating vendors to conduct insurance business. As I have noted often during “buy button” discussions, agents and brokers need to begin and end the sales process in THEIR system(s) of choice. Let me be clear, this is not Single-Entry Multiple System Interface (SEMCI). That effort was geared toward service staff, not producers. We need tools at the point of sale, and those tools need to improve a producer’s ability to get a submission to the carrier or intermediary, or both, quickly and efficiently. Producers, and others who are competing in a world of higher customer expectations, no longer have weeks to deliver. The IA channel wants this — even if not all could say they were enabled (because they weren’t yet ready to tango). Good news … your agency and your partners can dance faster, starting now! The reason is that independent agency leaders like us now have a “dance caller” for our tangos. That caller is you and your staff. Equipped with new tech and workflow solutions that have come to market since 2016, you can ask anyone in your metaphorical ballroom to stop looking so good standing against the wall and come take the spotlight in a structured, efficient set of movements (i.e. workflow processes). One example is NetVU and Vertafore partner, AVYST. Here’s more background from the AVYST website about solutions that are available right now to help your firm tango with business partners to deliver on the original promise of bi-directional forms. I look forward to continuing to add flair to our industry tango at the upcoming Accelerate, powered by NetVU, conference in Cincinnati from May 21-23, 2019. While we’re there, I’m eager to show you how this dance will intensify for Vertafore users in the near future. Keith Savino is managing partner of Broadfield Group LLC, a regional insurance agency/brokerage with roots back to 1864. His disciplines include telecom, technology and bio science practices as well as professional, executive and specialty lines. He also has led his firm’s cyber liability practice for more than 15 years. He is AVYST’s board vice chairman. Keith’s industry leadership experience includes: current PIA National president, former NetVU chair 2015, Louis Dunbar Technology Award winner for 2018, former member of AUGIE (Association and User Groups Information Exchange) Leader’s Council, and 2004-2016 ACORD board and executive committee. He also sits on the IVANS advisory board. Keith was dubbed “The Father of the Buy Button” for his work on the agent and broker channel-wide effort to empower agents to bind a policy 24/7 at the office or offsite. What's the best way to set up two executives for commission payment on a policy? Aebly and Associates Insurance Services Inc. Please share your commercial lines renewal process. Looking for a better way to manage junk email in our agency. Can you help?